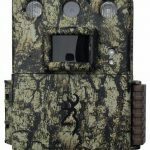 Browning’s Dark Ops line of trail cameras are considered some of the best available today. 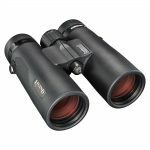 With a small size of just 4.5″ x 3.25″ x 2.5″ and an invisible night vision infrared flash this camera will be able to let you keep a covert eye on any area that you choose. 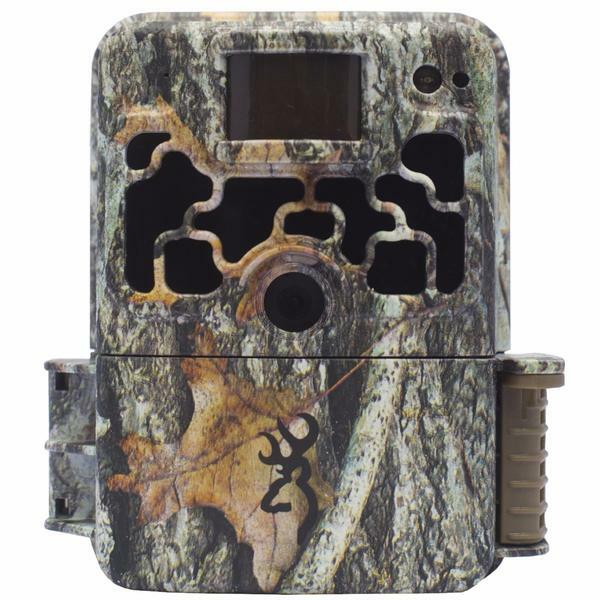 Whether it’s for scouting a feeding plot, for curiosity of animals that visit your property or for security and surveillance this fairly inexpensive trail camera will have you covered. We have spent hours researching everything we could find on the Dark Ops Extreme trail camera, and below you will find our findings. If you are looking for information about a specific feature jump right to that part of the review in the table of contents below. 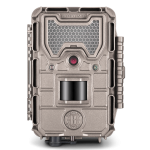 Or else read on and find out if the Dark Ops Extreme is the trail camera that will meet all your needs. 8 What Does it Come With? Browning have a great reputation in the outdoor market for creating high quality and durable gear. 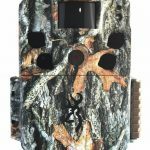 Primarily known for their hunting and camping equipment, they are also one of the leaders in creating cutting edge trail cameras for hunters and nature enthusiasts. Their cameras come with a 1 year limited warranty that is among one of the best in the market. Their products speak for themselves and as a company they really do stand behind their commitment to being, as their slogan says, “the best there is”. The Dark Ops Extreme takes photos at a maximum of 16MP, with an effective pixel resolution of 1920 X 1080. The camera allows you to choose between four levels of picture quality, Low (2MP), Medium (4MP), High (8MP), and Ultra (16MP). For comparison, using a 32GB SD card, you will be able to take 34,000 low quality pictures or 4500 Ultra pictures before the card is full. The day time pictures have excellent clarity and colors. The Dark Ops Extreme does a great job at capturing sharp images. Even in different weather conditions the camera still continues to take good quality pictures and doesn’t suffer from any blurriness that some similarly priced trail cameras suffer from when exposed to weather conditions that might cause condensation. We didn’t find any mention when doing our research to a problem that some people reported in earlier Dark Ops camera models. There used to be a bit of a problem with the camera focusing when the camera had been mounted in a shaded area. We haven’t come across anyone having a problem with blurry day time photos because of shadows. The night photos are good. Not spectacular, but good. Pretty much what you would expect from a camera at this price range. Honestly, this camera has so much going for it that we can overlook amazing night photos. For still photographs, the Dark Ops Extreme gives you a number of options for when and how the photos will be taken. First of all, you can choose a delay between your trigger events. You have the choice of having a 1, 5, 10, 20, 30 seconds or else, 1, 5, 10, 30, 60 minutes. We aren’t big fans of the longer delays, but a 10 or 20 second delay can save you having a lot of repeat images of the same animal if you are scouting a feeding area or your yard. The Dark Ops Extreme also allows you choose how many photos the camera will take for each triggered event. There is a multi-shot mode that lets you select for the camera to take between 1 and 8 pictures with a 2 second interval between each photo. There is also a rapid fire mode, which will also allow you take up to 8 pictures, but with a very fast .3 seconds in between each shot. Rapid fire can be a great mode if you are looking to get some good shots of animals on a trail while they are moving. Along with the camera being activated by heat and movement, there is also a time lapse option. 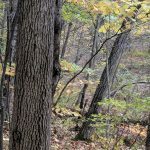 With this option you select an amount of time and the camera will take pictures at that interval, and in between those times it will still function normally as a trail camera detecting movement. You have the option to selecting between 5, 10, 15, 30 or 60 seconds; or else between 1, 2, 5, 10, 30 or 60 minutes. The camera allows you to choose these time lapse intervals to be active either all day, or else for 2, 3, or 4 hours after sunrise and before sunset. All day only means between sunrise and sunset, and the camera will automatically determine when sunrise and sunset occur. Time lapse is a great feature if you are looking to get a bigger picture of what is happening in an area, versus just seeing what movement is happening near your camera. It can be a good way to seeing what is happening outside of the camera’s range. Our only complaint with this feature is that there is no way to set up time lapse recording for the hours before sunrise or after sunset; nor is it possible to set it to take a photos at night even if there is no movement. Granted this could just result in a lot of dark and boring pictures. Compared to the Browning Command Ops Pro camera, the video features are a lot more impressive for the Dark Ops Extreme. The camera records in 1280 x 720 HD video with sound, but unlike in the Command Ops Pro, this camera allows you to choose between low and high compression to give you the option of choosing between quality or quantity when it comes to your videos. The difference in levels of compression will allow you to save twice as many videos on an SD card with high quality setting versus the ultra setting. You have the choice of selecting how long the videos are recorded. You can select the recording time at 5, 10, 20 or 30 seconds; or else 1 or 2 minutes. Along with the set recording time, you also have the choice of using what Browning calls Smart IR Video, when this is turned on the camera will keep recording video as long as their is movement for up to 5 minutes. We like this availability of choices in the Dark Ops Extreme. Having the option to keep recording as long as their is movement while still allowing you to choose a set recording time is something we had wanted in other cameras that only offered one or the other type of recording, but no choice between the two. The Dark Ops Extreme allows you to choose between two very fast trigger speeds. The normal default trigger speed is .7 seconds, but you have the option of setting the camera to high speed, which reduces the trigger speed almost by half to .4 seconds. While .7 seconds is probably fast enough for most uses, it’s nice to have the high speed option, especially if you are looking to set up the camera to monitor trails where animals are moving as opposed to feeding. You can also choose a delay time of 1, 5, 10, 20 or 30 seconds; or else 1, 5, 10, 30 or 60 minutes. With the delay selected the camera won’t trigger for the set length of time after it has taken a picture or recorded a video. This is a feature that can help you not have a lot of repeated images of the same animal, but at the longer intervals you run the risk of missing out on events you might have wanted to get a picture of. We aren’t sure what the benefits are in having this choice, but it’s great to have more choices, so Browning has given you the option to choose between a detection range of 80 or 60 feet. Testing this for where you mount your camera, you may find a difference in the quality of pictures for the different ranges. One possible benefit that we can see with having the choice between ranges is if you set the camera up on your own property and the difference in 60 and 80 feet means the difference in getting a lot of pictures of you and your family moving about and just catching the movement of animals that would be closer to your camera. Browning also equips their cameras with a motion test mode. When motion test is turned on there is a visible red LED light on the front of the camera that will blink when it detects movement. This setting can be very helpful when setting up the camera, and can then be turned off so that it doesn’t alert people or animals to the location of the camera. Could a camera have a name like Dark Ops Extreme if it had a visible flash? Hell no. As you might expect the camera has an invisible “Night Vision” infrared LED flash that has an effective range of around 80 feet. As we mentioned above, the picture quality is good, but nothing remarkable for night photography. For most people the quality will be good enough though. For video one of the drawbacks of this camera is that the videos will only be a maximum of 20 seconds long, no matter what length of time you set for your daytime videos. Browning states that this is to conserve battery power, and that brings up the other night issue. The camera will use more of your batteries at night than during the day. The case that houses the Dark Ops Extreme is very small and durable. It holds up well even in bad weather conditions. The compact size and camouflage finish on the case make this camera very easy to mount where it won’t be easily detected. For extra durabilty there are security boxes available from Browning that you can use to protect your camera. Also, on the bottom of the case there is a built in channel that you can use to further secure your camera with a steel cable or a python lock. Browning has done it again, while earlier models of the Dark Ops cameras used 8 AA batteries, the 2018 version of the Dark Ops Extreme uses only 6 AA batteries. The camera uses Alkaline or Lithium batteries, and even has an option for you to select which type of batteries you are using so that you can get a true visual reading of how much power is left in the batteries. We had no idea that this was an issue, that the power meter for batteries could be different for Alkaline and Lithium batteries, but apparently it is and it’s something that Browning has addressed. The Dark Ops Extreme is very friendly to batteries. It has a very low power draw during the day when it is resting. People report that one set of batteries will get you through a full season of use. So that is definitely a plus compared to some other cameras that have a battery lives that can be measured in weeks with the fingers on one hand. The camera is also equipped with a 12 volt external power jack, giving you other possibilities to powering your camera. You can also invest in a Browning battery pack to give you camera an even longer life (and avoid the possibility of your camera running out of juice in between your visits to it). We’re sure there are other possibilities you can work out, like solar packs that you could use to give power to your Dark Ops camera. The Dark Ops Extreme comes with the camera, an instruction manual, and a six foot heavy nylon strap. You will need 6 AA Lithium or Alkaline batteries and a memory card for the camera to work. There are a number of people selling this camera online bundled with batteries and an SD card so you will have everything you need all in one package. The camera uses up to a 32GB SD card. It also supports upto a 512GB SDXC memory card. With 512GB you probably won’t need to worry about filling it up anytime soon with pictures or videos. The camera is equipped with the option of automatically overwriting your SD card once it is full, but replacing the earliest files with new photos or videos. The Browning Dark Ops Extreme is a step up from Browning’s Command Ops Pro camera, it has all of the features of that excellent entry level camera plus more. With an increase in picture quality, more options for video and being able to use SD cards larger 32 GB the Dark Ops Extreme stands out from a lot of other cameras in it’s price range. The small size and invisible night vision illumination make this camera very easy to conceal, so it will function well if you are scouting a feeding area or for security or surveillance for you business or home. Add to this a .4 second trigger speed and the camera will also excel in monitoring active trails, or capturing the movement of someone on your property. The camera is also very easy to set up, it’s very intuitive how to move through the set up screen and Browning have made the letters and screen very easy to read. The set up screen is also on the front of the camera, which can be very useful. You won’t need to unmount and then get it set up again properly if you are just looking to make a change to one of the many options. The biggest drawbacks for this camera are it’s slightly limited detection range. If you are looking for a camera that detects further than 80 feet there are better options for you. Also the lack of night options could be a drawback for some; but this minor complaint is pretty much negated by the amazing battery life that Browning’s dedication to lower battery consumption has achieved compared to some other brands.